This entry was posted in Blog, Open Education, Presentations and tagged oer15, open education sustainability by admin. Bookmark the permalink. A very helpful recording Viv, I am sorry I missed your presentation at #oer15 but this is a great susbstitute. I so agree with your analysis. 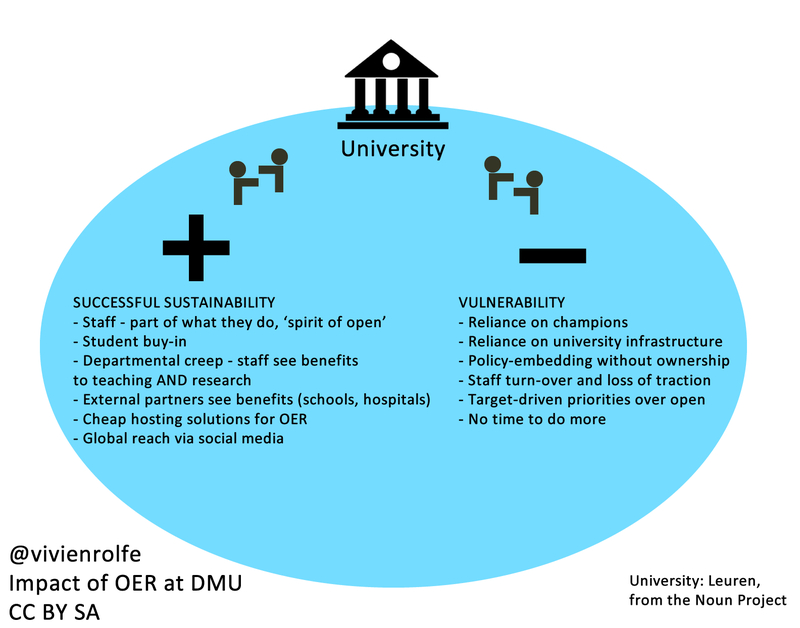 What’s the financial model behind open education? Who’s paying what to whom? I understand that open education is not the same as having open educational resources, is it? Hi Ronald – sorry for my slow response. Open education best work when it becomes part of ‘what we do’. As I make teaching materials to put on Blackboard, it takes no more time to share them openly. Of course, for large scale initiatives – open textbooks, clearly investment is required. But once established, again, I’d see the textbook model as part of learning and teaching practice. 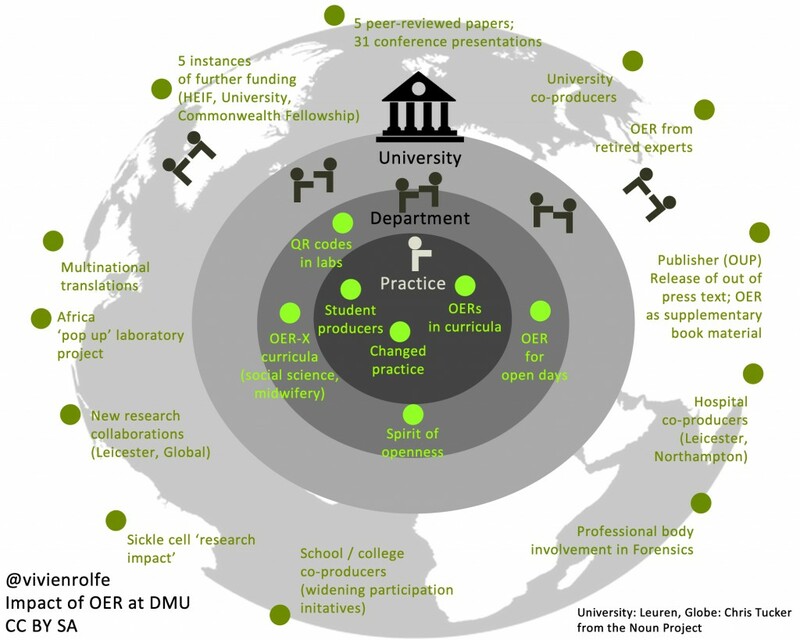 Open education is a broader term isn’t it – practices, philosophies, whereas the OERs and textbooks are some of the tools.